Registration held at the studio. There is no registration fee for returning students from the previous year. A $10.00 registration fee for new accounts. First session payment is due at registration. Please email prodanceacademy@aol.com to register. *Teachers are subject to change. This includes all dance and tumbling classes. Please email prodancejemz@gmail.com for team information and schedule. Advanced dancers only. Thank you! We are here to make this a fun and enjoyable experience for you and your child, while still challenging them technically. We offer a variety of dance classes to help your child achieve their best. Our dance education will provide fitness while building your child’s confidence. The correct development of your childs skills are very important to us, we offer both serious and recreational training. 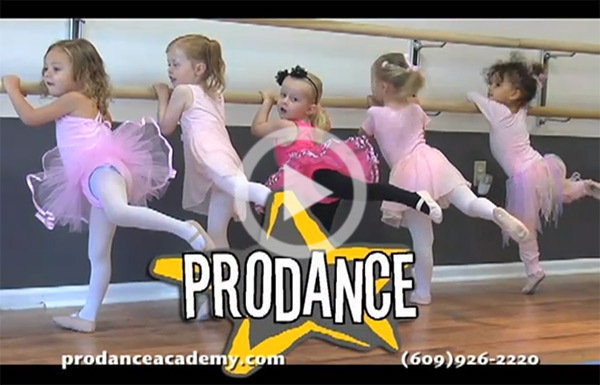 We opened ProDance Academy because of our love of dance and we want to pass that on to our students.